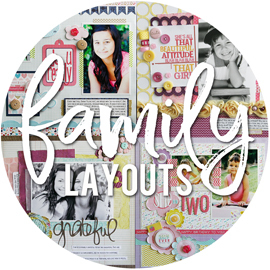 I have a new layout up on the Scrapbook & Cards Today blog! 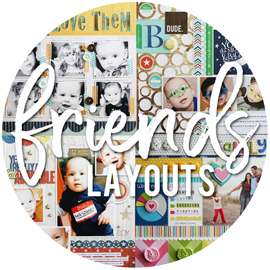 The last time I took a turn sharing on "Design Team Wednesday", I shared a layout using photos that the girls had taken of themselves. That layout can be seen HERE. Well, this time is no different. I'm dealing with sassy teen girls, and the last thing they're up for is mom pointing her camera at them. It's a good thing I can rely on their photos from time to time. Sarah just turned 16 years old this past weekend. She is truly an expert at taking selfies, and has been for years. I just love this photo that she took of herself while we were driving in the car last month. It's a gorgeous photo of my gorgeous girl. So I asked her to send it to me so I could scrap it. It took a few reminders, but she finally emailed it to me. I have never been one to work from kits, or subscribe to kits, but I did recently pick up a few kits during a big sale at Studio Calico. It has been sitting on the floor since I got it, and I'm glad I ended up looking through it when I started this layout. I found three patterned papers in there that worked so well with what I had in mind. The pink dotted pattered paper matched the colors in my photo perfectly. I always love a good brown woodgrain patterned paper, and it went well with the pinks and Sarah's brown hair. And the gold glittered patterned paper added a touch of glam to the page, tying in nicely with the brown woodgrain paper. I started out with a die cut title, from the gold glittered patterned paper, but it wasn't standing out as much as I would have liked. I also felt like I needed some silver added in, since Sarah's sunglasses had silver rims. I remembered these silver chipboard alphas that I had bought from the dollar section at Target last year (in full disclosure, I may have bought about 10 packs of them!). I love a good chunky font mixed with a cursive or script font for my titles, so pairing the chipboard alphas with a die cut word ended up working perfectly. 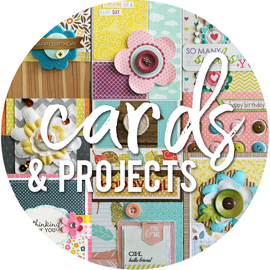 I also die cut a fun circle border from the brown woodgrain patterned paper. It was something I had in my Silhouette library, found in their store. It worked well to cover up the top part of the ruffled paper, since it had an unfinished look to it once I cut it. One product that immediately came to mind after printing my photo was the ruffled paper from an older Dear Lizzy collection. I have a few sheets of it, and have never gotten around to using it. I always feel oddly accomplished when I finally use a product that I love, but that I've been hoarding for years. I trimmed off the lighter pink rows of ruffles, which also matched the photo perfectly. I printed my journaling and matted them with the gold glittered patterned paper, to bring in another touch of the gold on the page, and adhered the strips to the page using silver brads. I know it may appear that my buttons don't actually match each other. I promise you, in real life, they're all the same shade of pink (and a few off white) and match the pinks on the page really well. I also added some tiny silver accent dots around the page, for some subtle touches of silver. Hey everyone! 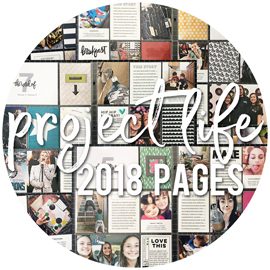 I've been doing way less scrapbooking these days, so my blogging has suffered. 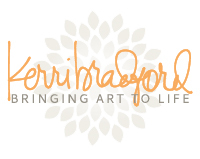 But I do have a new layout up at Kerri Bradford Studio today. With the official start of summer right around the corner, I was itching to create a fun summer layout. So that's what I did. I dug up some really old photos (taken back in 2007) of a family get together at my brother and sister-in-law's house. Our summer's usually consist of temperatures in the 100's, so most of our gatherings revolve around a swimming pool, to keep everyone cool. To be honest, I have scrapped these photos before. But this layout will definitely take the place of the other layout, since it's way more "me" than the previous one. Since I had a lot of photos I wanted to include, I pulled up a template from Kerri's Storyboard #3 kit that I felt would work well with my photos. I used this same template twice, once for either side of my two page spread. I just flipped the template for the second page so that it would mirror the template on the first page. I also printed a few main photos individually to add to the top section of the two pages. I still had a few additional photos that I would have loved to include, but getting 20 photos onto this layout pretty much told the story of the day. I even stuck the one photo of myself on there, even though I hate it. I knew the top part of my pages would be white cardstock, but I wanted to add something so that it wasn't so plain looking. I decided to use the sun from the This & That: Summertime [just shapes] kit, and cut three different sizes of suns, multiple times. I layered the suns on the top half of each page, adding adhesive only to the centers of the suns. This added some easy dimension and texture to the page, as they weren't adhered totally flat. I then misted over the top half of each page, using pink, green, and aqua misting sprays. All of my patterned papers on this spread are from My Mind's Eye. I came across the floral patterned paper, and thought it would work well, so I went searching for a few tone-on-tone papers in pink and aqua to match. I honestly believed that the papers matched well when I started this layout. I was matching that pinkish paper to the small amount of pink you can see in the floral paper (and also matching it to the girls swimsuits). In the end, I think my colors were a little off, but it still works. 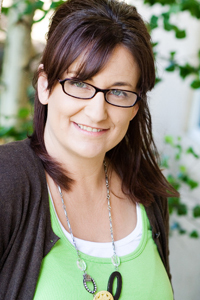 For my title, I choose the words "hello" and "pool" from Kerri's Summer Lovin' kit. I knew I wanted a large title along the top of the page, so I sized each word fairly large. I cut each word from patterned paper, as well as black cardstock, and layered them together. When it comes to buttons, I always thread them. But very rarely do I take the time to hand stitch them to the page anymore. I usually thread them, and then add a glue dot to the back and stick in place. But since I was using clear buttons on a white background, I decided to take the extra time to hand stitch them all in place. Really not that time consuming, but it did take me longer than glue dotting them. Speaking of 100 degree days of summer, we had one of those earlier this week. And we were all miserable. The air conditioning can't keep up when it gets that hot, so it's just constantly turning on and off, on and off, over and over. At one point, I realized it was 82 degrees in the house, when I had it set at 78. So I turned off the air and gave it a break, knowing it was 102+ degrees outside. I left to go get a haircut after all the daycare kids left, and when I got home a few hours later, the family informed me that they were dying and it was 87 degrees in the house. No one had even thought to turn the AC back on and cool things back down. Lol. We're looking at 100 degree temps again this weekend, so wish us luck and hope we survive! Hey everyone! I finally have something new to share with you. 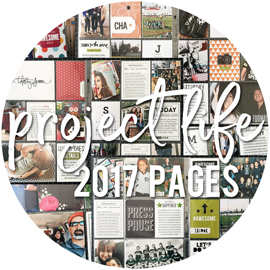 We are now revealing our monthly project sheets on the first Monday of the month, over on the Bella Blvd blog. This month, I was asked to feature the Color Chaos collection, along with the Invisibles specialty papers. I was also asked to use time as the theme to my page, along with a comparison, such as the "AM vs PM" idea I used for this layout. If I was doing this layout idea completely on my own, I would have done something entirely different. Since I create these layouts with the idea that others will be recreating something similar, that usually plays into what I end up making. I was able to pull up some really old photos that I thought would work well for comparing a few things that are different in my mornings and my evenings. When it came to which Invisible specialty paper I would use, it was an obvious choice. The "A Day At A Time" was perfect, since I was going with a daily routine theme. I knew I was only going to use a portion of it, so I cut it in half before getting started. I used my finger to roughly add some black acrylic paint around the outside edges of the Invisible and then traced it onto a sheet of white cardstock. Once I had cut that out, I adhered the two pieces together. Adding the white cardstock behind the Invisible just helps it to stand out more, and keeps it from overwhelming the page. I thought the white and grey star patterned paper would make a great neutral background to lay the Invisible against. Once my other patterned papers were adhered in place, I added the white scalloped border sticker and did my machine stitching. I used the black alphas from the Treasures & Text sticker sheet for my title, and lined it up along the white border sticker. For the top "AM" part of my page, I added a piece of the yellow tone-on-tone diagonal striped paper. Yellow just seems like a morning color, right? I printed two strips of photos, one for AM and one for PM. Each had three 2x2" photos, but you could easily just print three individual photos for each section. I used the Amorie chipboard alphas for my "AM" and "PM", and also added an assortment of Ciao Chip Elements, like the sun and clouds. For the bottom "PM" part of my page, I added a piece of the aqua tone-on-tone diagonal striped paper. I was originally going to use navy blue, but it was a little too dark for the page. I think aqua still worked well for an evening color, plus it matched my clouds. Under each of the photo strips, I added a few small strips of patterned paper. Both the black days of the week paper and the paint splatter paper were 4x6" cards cut from the Daily Details patterned paper. Since my photo strips were wider than the paper strips, I couldn't mat them. So I just cut some thin strips, and tucked them under the top and bottom of each photo strip. I added some chipboard flowers in coordinating colors, and topped each one with black enamel dots. I had to stick to just one color of enamels for this layout, but you could easily add in more color using a variety of colors of the enamels. You can download our step-by-step project sheet, complete with a full supply list and detailed instructions, RIGHT HERE.